Sophia asked why she was so sad, I told her that she's not sad, she's just thinking. These are my "Cherry Pickin' Sisters". When there are two sisters there is usually a glamorous talented one and a practical helpful one. 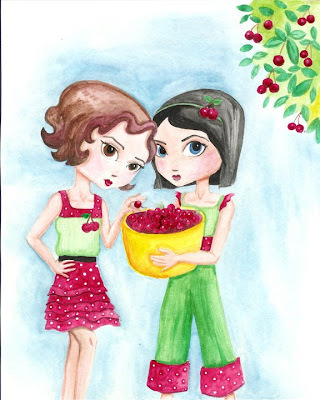 Except for me and my sister, she is the glamorous, talented, practical, helpful one, and I'm the one eating all the cherries! 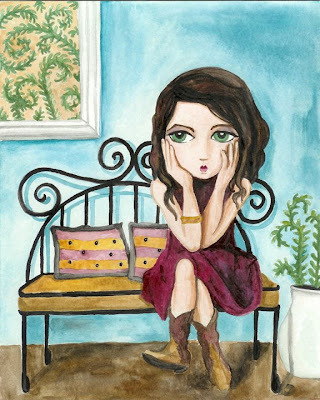 This piece is a watercolor, and was inspired by some fabric I have been using to sew Isabelle a dress. I love cherries! I love sisters! Oh, and I made that glamorous/practical thing up. "Don't forget to walk the goose!" her mother called. 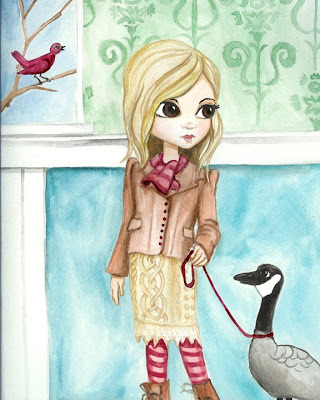 This is "Goose Girl", it was inspired by the flocks of Canada Geese that have been cruising our town. It is so wonderful to see and hear the birds again! My favorite part of this painting is the knit skirt, it looks so cosy and hip. my shop name. Anyway, here she is, and have a lovely day! Where did "my tiny star" come from? 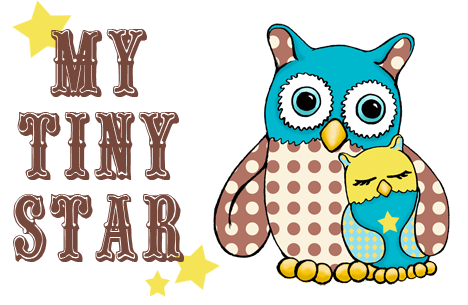 My tiny star is the name I picked about 4 1/2 years ago when I created my website (which is currently being updated). 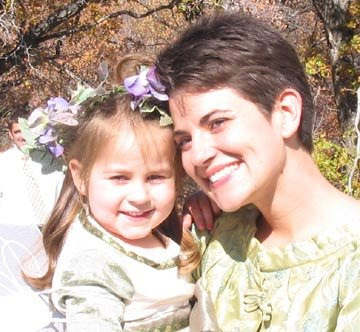 I was selling custom costumes and children's clothing on ebay at the time, and Sophia was my little model, so because she is a tiny little me, mytinystar was born. I also have the philosophy that everyone has a spark of divinity inside them, and that spark is what gives us this urge to create. I envisioned this spark as a tiny glowing star tucked inside my pocket, and how it just wants to shine for the world to see. We each find our creative outlet in different ways, and each is equally important. 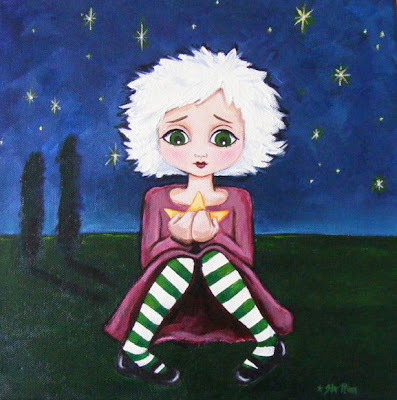 I am trying to pull my star out of my pocket, and share it's light with you. Let me know if you need some sunglasses.